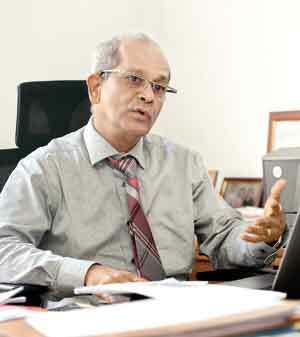 The National Olympic Council Sri Lanka (NOCSL) Secretary General, Maxwell de Silva, says he cannot understand why a segment of the sports fraternity is making such a hue and a cry and keep writing to the International Olympic Council (IOC) when there is a cut-and-dried methodology to arrive at the next AGM in February. De Silva was answering to a query made by the Sunday Times regarding a group Sports Association heads sending a complaint to the IOC about the NOCSL Secretary General and the way things are being conducted there. 1. Minutes of meetings – Minutes of the last General Assembly held in 2011 have not been shared with the MEMBERS AS OF DATE, even after a request made by a majority of members for the minutes to be tabled at the GA held on 9th November 2017. 3. Annual Accounts – Accounts pertaining to the years 2012, 2013, 2014, 2015 and 2016 have been sent for audit only in the latter part of 2017 and that too, without sharing the same with the NOCSL Executive Committee/Office Bearers, which itself, is in violation of the statutes of the NOCSL. Such delays in accounting is also in violation of the National Regulations governing sporting bodies in Sri Lanka. 4. Constitutional Amendments – A request made by the IOC by way of a letter dated 27 April 2017, asking for the revamped Constitution of the NOCSL to be shared with the membership, was circulated amongst the NSF’s only on 08 October 2017, more than 6 months after the IOC Instructions were sent to the NOCSL. A notice was served on the Membership, to hold a General Assembly to adopt the revamped Constitution, giving the Membership only 10 days to make their comments on the same. 5. The Athletes’ Commission – The letter from the IOC dated 27 April 2017 had also requested that the IOC Guidelines for the formation of an Athletes Commission at the NOCSL be shared with the Membership, but was done only on 08 October 2017, more than 6 months later, whilst, the Secretary General surreptitiously nominated two members to represent the Athletes’ Commission bypassing the membership for nominations. 6. Suppression of information & instructions sent by the IOC – To the surprise of most NSF’s the letter sent by the IOC on the above (5) has been suppressed and only a comment has been quoted on the formation of the Athletes Commission which is different to the Guidelines provided by the IOC, as per the attachment sent with the proposed draft constitution. 7. Requests for inclusion of agenda items as provided for in the constitution - Valid requests as per statutes of the NOCSL, made by a majority of Members of the NOCSL to have specific issues irrevocably connected to the subjects coming under the agenda have not been complied with thus violating the NOCSL constitution depriving the rights of its stakeholders. 8. Disregarding resolutions reached at the general Assembly – the resolution reached by the General Assembly to hold an Executive Committee meeting within two weeks of the General Assembly held on 09 November 2017, has not been complied with. To our reckoning the IOC has not issued any directive to the contrary in this regard. 9. Non-submission of documents to admit new sports federations - We are aware that there are six sports federations awaiting admission to the NOCSL family. The inordinate, but deliberate delay in circulating to date the supporting documents, despite clear instructions from the IOC, is baffling, and appear to be another attempt to delay holding of the elective AGM. This maybe also a another attempt to blame the member NSF’s of non-cooperation in admitting these new sports federations. 10. Disregarding the constitutional right of NSF’s to have an Elective AGM - It is hoped for the sake of the future of the Olympic Movement in Sri Lanka that the forthcoming SGM will decide on the date for elections that have not been held for over 8 years. 11. It is hoped that those who are not aware of the happenings in the NOCSL, under the current Administration comprising a President who has governed for nearly 20 years with the last 4 years without elections and without any oversight, as also, a Secretary General who is holding office for over 8 years, with the last 4 years without elections and without any oversight, will now be made aware of the real unfortunate situation of the NOCSL as at present. Explaining the issue, de Silva said, “I am at a loss about this situation. Initially I do not think even the numbers are right, because there are differences within certain associations and sometimes the signatory may not carry necessary clout to change opinion when things matter the most”. De Silva said the opponents could raise the matter pertaining to the complaint at the SGM on January 4. “However we are going by what the IOC has stipulated. That means besides the 12 officials who are already in the executive committee, there would be three others who would be elected to make it fifteen and not 30 as requested by those who are agitating. At the January 4 Special General Meeting, besides approving the amendments to the NOCSL constitution, it is expected that bodies representing Modern Pentathlon, Baseball, Rugby, Roller Skating and Karate Do would be given approval. If these associations get their approval the number of members in the NOCSL would move up to 31 from the present 26.